Hi everyone! We are now in the part of making Facebook Ads. 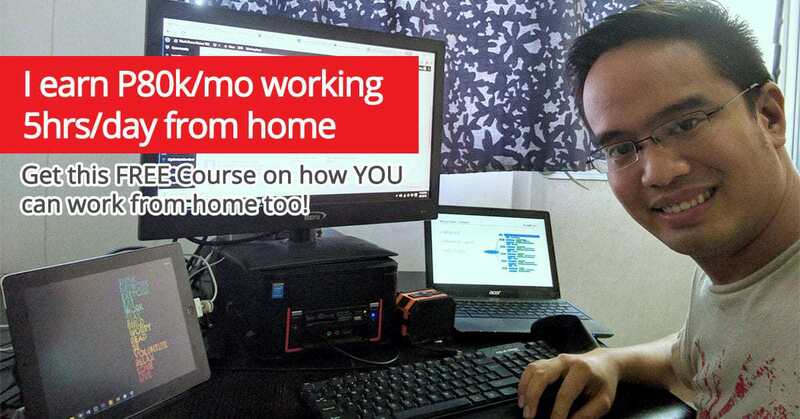 Before, upon introducing VA 202 course of Facebook marketing and Linked marketing, Jomar Hilario, our mentor already shared to us steps and insights of the process of how to create Facebook Ads. He presented the process through webinars, interactions by creating posters and assignments to truly incorporate it in our minds so that when the actual day of VA 202 seminar, this will be easy for us to grasp and understand what Facebook and LinkedIn marketing is. But in this blog, we will only first touch Facebook marketing. As you noticed, I presented to you on how to make posters first in my previous blogs. The two important things in making poster for Facebook Ads are the “Promise” and the “Image” supporting the promise. These two should go hand in hand and in fact, should be consistent. Meaning, if you tell the promise, the image also supports the promise. Always remember the consistency principle in making Facebook posters for Facebook ads. It is just easy to remember, like what I said before, the “PITCH” shortcut for Promise, Image, Text, Call to Action and Headline, all presenting the promise and supports the promise. 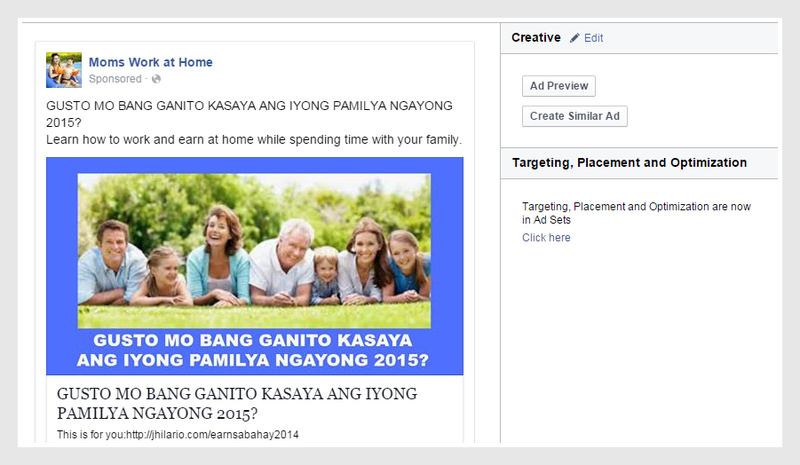 Before making Facebook Ads, let us have a checklist. 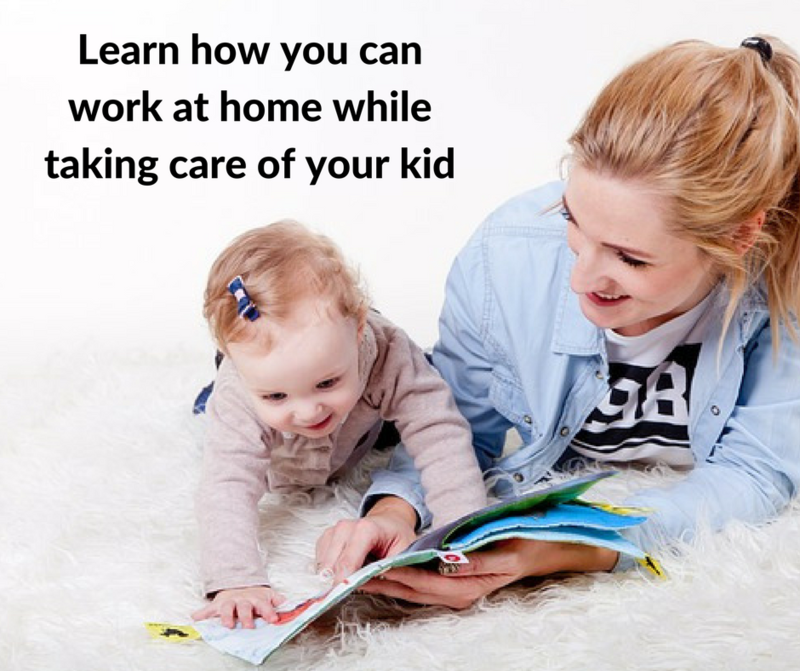 Of course, you should have the poster , the signup form and the thank you page ready, including creating the Facebook page as you will use this one to post your Facebook Ads to be seen by your preferred audience. To use the Facebook Power Editor, go to http://facebook.com/powereditor. Here are my requirements needed in making Facebook ads. The Requirement number two: Email catcher. This email catcher is made through http://benchmarkemail.com. You can access this site free and it has tutorials for guidance in making signup forms or email catchers. The facebook page should be created for your prospects. 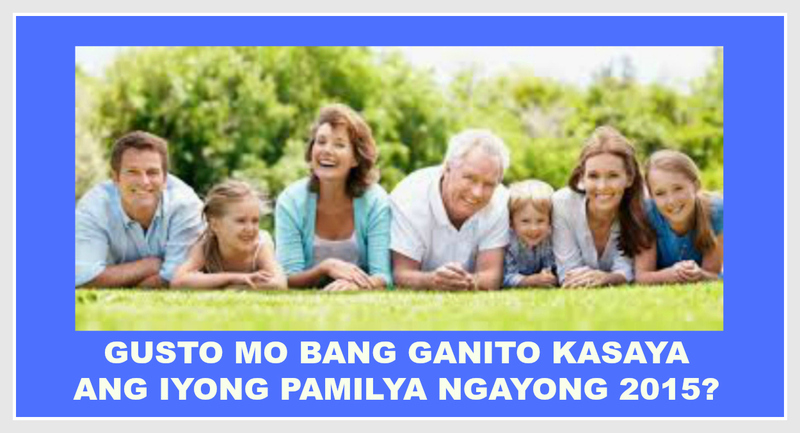 It does not matter the name as long as it catches the attention of your preferred audience like moms, dads, single moms, OFWs. 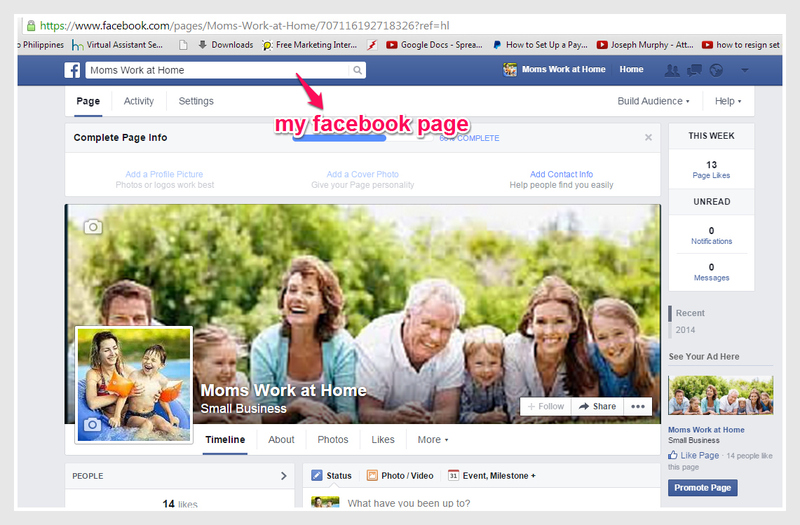 Like this one, I named my Facebook Page as “Moms Work at Home” because I want to cater moms who want to work at home. To create facebook page, go to http://facebook.com/pages/create.php and name it well. Name your page using personalized promise so that your audience or your prospects will like it because of the name. Your audience does not care your business name as long as the name is likeable. Requirement number four: Log in to your personal account or to your business.facebook.com account. Below you can see the parts of the Facebook ads. The PITCH, presenting the Promise, Image, Text, Call to Action and Headline, which supports the promise. This should be our goal in making Facebook Ads. Hey, this is just the beginning! We are not done yet. 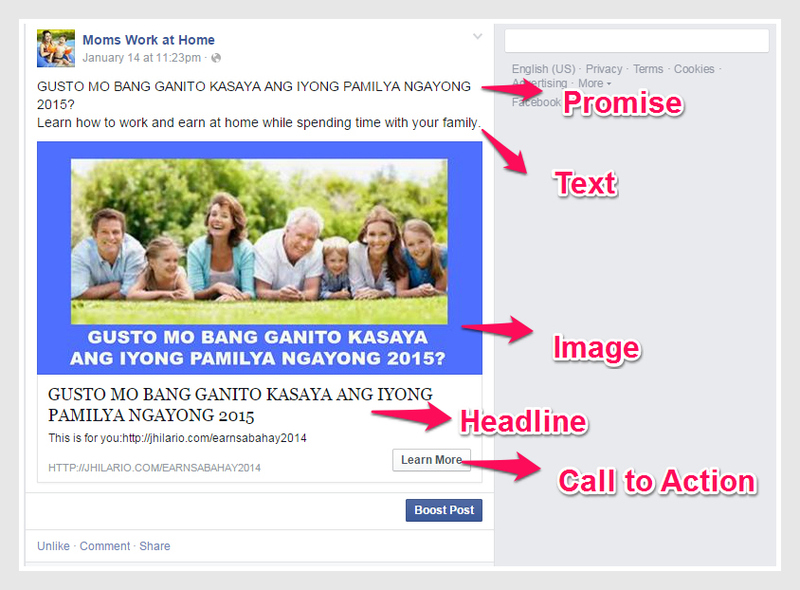 This is just an introduction of the requirements before making an official Facebook Ads. 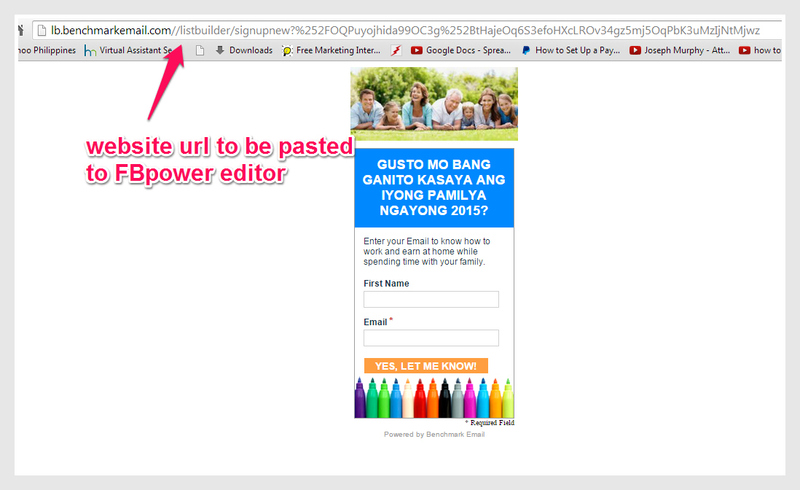 And the important thing is we have to practice making Facebook Ads in Power Editor, many many times. The next time we want to make it, it will be just one two three! Good job Alfie, a well done job!